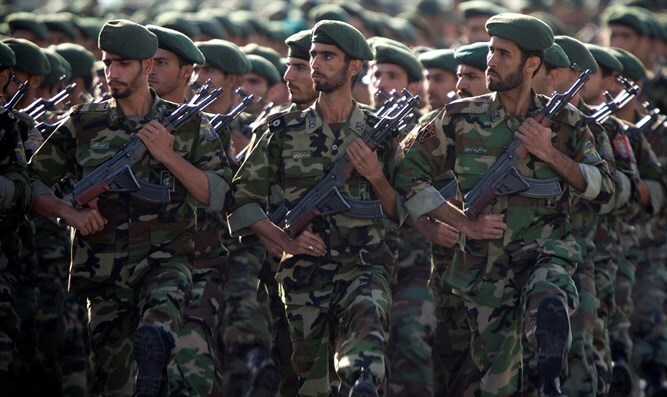 Saudi Arabia and Bahrain add Revolutionary Guard Corps and senior officers from Quds Force to terror blacklists. Saudi Arabia said on Tuesday that it and Bahrain had added Iran’s Revolutionary Guard Corps and senior officers from its Quds Force to their lists of people and organizations suspected of involvement in terrorism, Reuters reported. The Saudi state news agency SPA quoted a statement from the security services as saying Qassem Soleimani, commander of the Quds Force, and the force’s Hamed Abdollahi and Abdul Reza Shahlai had been included on the terrorism list. The US Treasury Department alleged in 2011 that Soleimani, Abdollahi and Shahlai were linked to a plot to assassinate Saudi Arabia’s former ambassador to the United States, Adel Al-Jubeir, and imposed sanctions on them. Jubeir now serves as the Saudi Foreign Minister. Tehran quickly responded to the Saudi Arabian statement on Tuesday, saying the move was intended to “distract the world and the region from the killing of Jamal Khashoggi”, the journalist whose disappearance after entering the Saudi consulate in Istanbul has provoked international outrage. “Saudi Arabia is in a quagmire it cannot easily come out of,” said Brigadier-General Esmail Kowsari, the Revolutionary Guards’ deputy security chief, according to Reuters. Iran and Saudi Arabia are regional rivals which back opposing sides in countries such as Syria, where the Iranian regime supports President Bashar Al-Assad while the Saudis back the rebels trying to oust him. Separately in Washington on Tuesday, the US Treasury targeted Afghanistan’s Taliban insurgency with sanctions against eight individuals who were designated global terrorists, including two linked to the Quds Force named as Mohammad Ebrahim Owhadi and Esma’il Razavi. The Taliban-related sanctions were also imposed by the seven members of the Terrorist Financing Targeting Center (TFTC), a US-Gulf initiative to stem finance to terrorist groups. Saudi Arabia welcomed President Donald Trump’s decision and said it would work with the United States to address Iran’s support of militant groups in the region and its ballistic missile program, run by the Revolutionary Guards. The US has been ramping up the pressure on Iran and the Revolutionary Guards, particularly since Trump withdrew in May from the 2015 nuclear deal between Iran and world powers.